Muslim leaders seek to kill him for his faith even as police suspect him as Islamic terrorist. NAIROBI, Kenya (Morning Star News) – A recent convert from Islam arrested under suspicion of being a Muslim terrorist has been released, but not before his father tried to poison him for his faith, he said. Authorities in Western Kenya, preparing release papers for Hussein Hassan Mohammed, 30, after he served two weeks of his one-month sentence in July for lacking a national ID card, became furious when he listed “Christian” as his faith, he said. 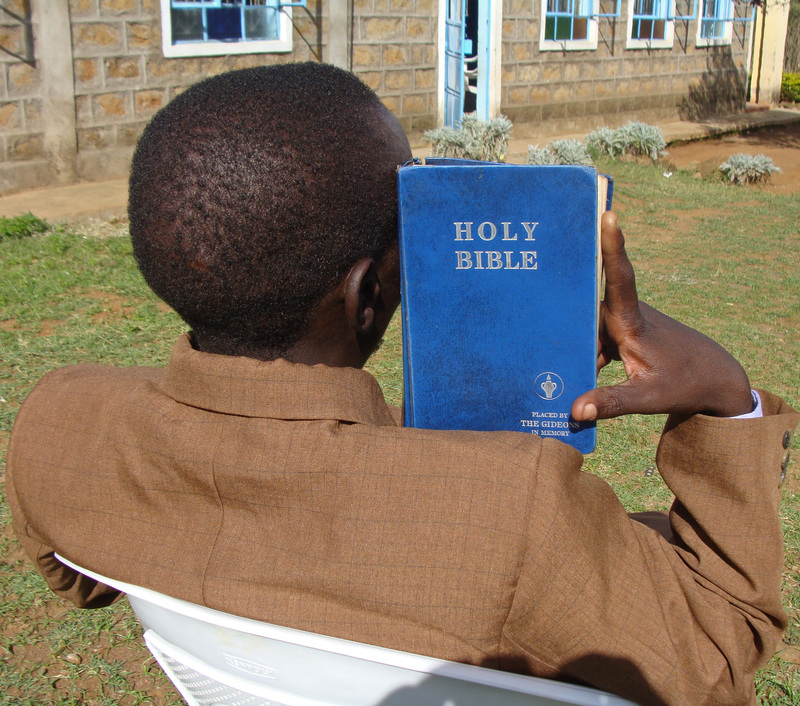 After authorities had questioned his claim of being a Christian during brutal interrogations that left him unable to walk, officials at Eldoret GK prison were still upset that he had either left Islam or was pretending to have done so. They beat him and took him to another ward, he said, where they deprived him of food. After a week, a prison officer again asked him about his religion. “I told you people that I left Islam and joined the Christian faith,” said Mohammed (previously misidentified by church sources as Hassan Hussein Mohammed). The prison officer returned him to his cell, and he was released on Aug. 7. Mogotio King’s Outreach Church in Mogotio, Baringo County, where he announced his conversion in April, greeted him with cheers on Sunday (Aug. 10) as he tearfully recounted his ordeal during the worship service. Mohammed said that after his conversion on April 10, Islamic leaders planned to kill him. At the same time, authorities trying to crack down on a swell of Islamist violence in Kenya were alerted that he could be a Muslim terrorist; he had just arrived from a mosque in Nyahururu, where he was training to become a Muslim leader, for an internship. He had been forced to leave his identification card and other belongings behind when mosque leaders in Mogotio beat him unconscious after learning of his conversion, and in May authorities charged him with lacking a national ID, links with Somali Islamic extremist group Al Shabaab and an attack on a church in the Likoni area of Mombasa. Terrorist attacks have increased in Kenya as Somali rebel militia from Al Shabaab group have been driven into Kenya by Kenya-led forces fighting them in Somalia, and authorities are increasingly stopping Muslims and asking for identification. 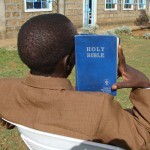 Kenya is 83 percent Christian while only 8 percent are Muslim, according to Operation World. After a month of torture under interrogation, on May 29 Mohammed was admitted to Moi Referral and Teaching Hospital in Eldoret, in Uasin Gishu County, 313 kilometers (192 miles) west of Nairobi, for three weeks due to high blood pressure and internal injuries, including severe chest pain. He called his father, 72-year-old Hassan Mohammed, who arrived at the hospital on June 15. The police then questioned the father for three days, from June 22-24. On June 25 Mohammed’s father offered him some food. Police guarding Mohammed arrested his father. Questioned about why he would want to kill his son, he told them, “My son has forsaken Islam as well as defiling our community by joining Christianity,” according to Mohammed. “I thought my father had come to help, but I realized that he had come to kill me,” Mohammed added. Nevertheless, when he was discharged from the hospital on June 30, he pleaded for the release of his father, saying that he had forgiven him. Police released Mohammed’s father and escorted him to the bus station, where he boarded a bus for Marsabit. By July 2 authorities had dropped the charges against Mohammed of links with Al Shabaab and the Likoni church attack and, at an Eldoret court, charged him with a single count of lacking an identification card. He gave the reasons that he had lost his identification card and was sent back to the cell. On July 7 he was sentenced to one month at Eldoret GK prison. After his initial arrest on May 1, his whereabouts had been unknown. Morning Star News has learned that on May 2, he was transferred to Nairobi Central police station and returned to Eldoret police station on May16. On May 20 authorities took him to Nyahururu, where they questioned Muslims about Mohammed and his one-month service there. They returned Mohammed to Eldoret the next day, and the preliminary three charges were leveled against him on May 22. His church leaders were thankful to Morning Star news for bringing Mohammed’s case to light when his fate still lay in darkness. After learning of his conversion, Muslims in Mogotio informed Islamic leaders in Nyahururu, as well as his father in Marsabit, that Mohammed had left Islam. A friend told him that a Muslim in Nyahururu had been promised 1.5 million shillings (US$17,500) to kill him, Mohammed said. “Nasir Abdi has been given 800,000 Kenya shillings to kill you, and then he is to be paid the rest after accomplishing the mission,” the friend told Mohammed by phone, he said. A native of Marsabit, Mohammed attended Nairobi University for a degree in accounting. In August 2011 he served at an Islamic college in Mombasa and became an Islamic teacher for the Madrassa (Islamic school) until March of this year, when he was transferred to Nyahururu in the same capacity and taught for one month before being transferred to Mogotio. After three days at Mogotio, Mohammed left Islam for Christianity, he said. Mohammed, who spoke with Morning Star News over a serious cough that cut short his ability to speak, addressed the church on Sunday sitting down because of his swollen leg. If you or your organization would like to help enable Morning Star News to continue raising awareness of persecuted Christians worldwide with original-content reporting, please consider collaborating at https://morningstarnews.org/donate/? © 2014 Morning Star News. Articles/photos may be reprinted with credit to Morning Star News. Morning Star News is a 501(c)(3) non-profit corporation that relies solely on contributions to offer original news reports of persecuted Christians. By providing reliable news on the suffering church, Morning Star News’ mission is to empower those in the free world to help and to encourage persecuted Christians that they are not forgotten or alone. For free subscription or to make tax-deductible donations, contact editor@morningstarnews.org, or send check to Morning Star News, 24310 Moulton Parkway, Suite O # 157, Laguna Hills, CA 92637, USA.